Michael O'Leary was hung out to dry and Ted Walsh wasn't long to pounce. Apple's Jade won the Irish Champion Hurdle like a Cheltenham Champion on Saturday afternoon in Leopardstown, but the mare's owners continue to resist Pretsbury Park's premium prize. They avoided it last year, instead targeting the mares' honour and with a fancied 'Jade' toppled by a sprightly Benie Des Dieux last March, they look intent on righting that wrong, rather than going for the big one 12 months on. Much to the frustration of racing followers all over. Apple's Jade leaves Supasundae, Melon and other quality hurdlers for dust. With Gigginstown's main man Michael missing in action, it was his brother and the operation's racing manager Eddie O'Leary who faced the music after their brown eyed girl had hosed up at the Dublin Racing Festival, and Racing TV's Nick Luck wasn't long getting down to business. He praised the marvellous mare's wonderful performance before hitting O'Leary with the question everybody wanted answered. O'Leary answered, but it wasn't the answer everybody wanted to hear. Apple's Jade in the Champion Hurdle? "We will if they allow us to run a gelding in the Mares!" "We will if you allow us run a gelding in the mares," he said dead-pan. "She qualifies for the Mares race, she’ll run in the Mares...Did she win the Mares' Hurdle last year? No." Those are the facts and the O'Leary's are the decision makers but horse racing fans can't help but feel it would be a waste of this supreme talent. They're mad to see her take on reigning champion Buveur D'air in the Unibet but history tells us they won't because last year it was a similar story with a certain Samcro. After romping up this weekend last year, everybody was saying he was good enough to win a champion. The O'Learys wouldn't budge though and he went on to win the Ballymore in Pretsbury Park. Back to Foxrock and that wasn't the end of the fun involving the O'Learys. Eddie was soon collared by Treacy Piggott on RTÉ and the racing correspondent quizzed him on the whereabouts of his brother. 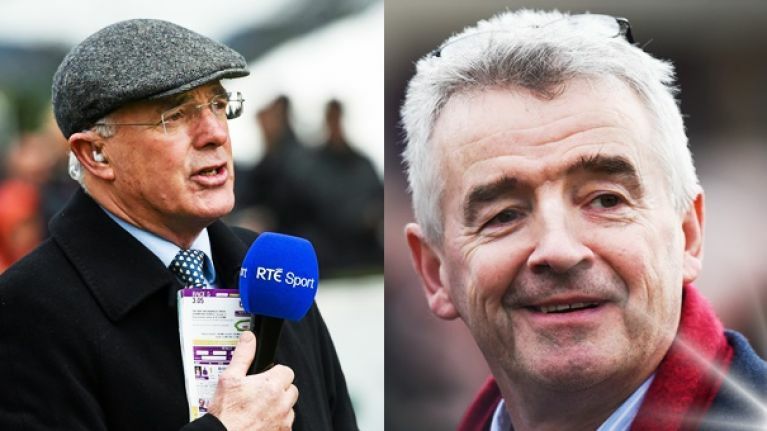 Eddie confirmed that Michael was gone to the rugby game at the Aviva Stadium instead of the racing and back to the analysis stand, Ted Walsh and Hugh Cahill let him have it. Ted claimed that, not only would he be following a horse like Apple's Jade's every race if he owned him, he'd also sleep with the mare. 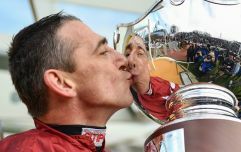 The pair then went to criticise O'Leary's choice of the oval ball over the racing, saying that, a racing man and a horse-owner should have his priorities in line. And viewers were enjoying it. First bit of sense out of Ted Walsh all day. 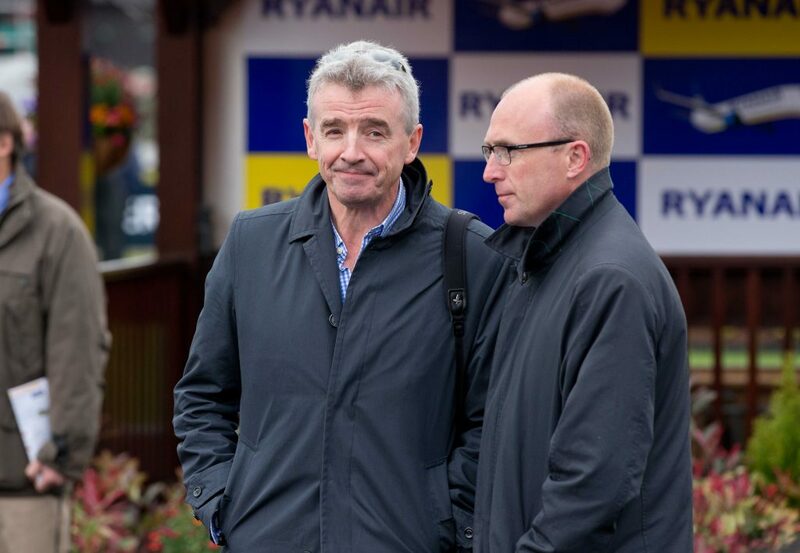 How could Michael O'Leary not turn up the Leopardstown today to watch Apples Jade? The excuse he's gone to the rugby match which kicks off roughly 3 and a half hours after Apples Jade ran and the match just across the city. Bad form!